"After that Payday, Patrick Moxey, 'In My Lifetime' fiasco, Dame, Jay, and Clark were done begging the industry for a deal. Pooling their collective monies, along with Kareem Biggs, Roc-A-Fella was officially born. I was hired to do all the paperwork, all the sample clearances, all that. 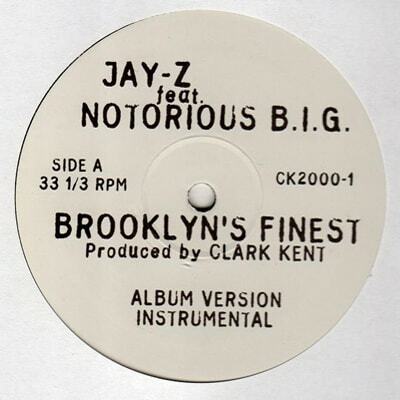 Clark was finally officially producing for Jay-Z, the artist he deemed to be the greatest, right after Biggie. Plus he had the relationship with B.I.G. to make a collabo happen. Like I mentioned above, this was when Biggie was the unquestionable King of NY rap, so this was big, no pun intended. When Clark first played the track for me, I didn't get it, I'll admit. The sample was so different, jazzy, unorthodox, but the rhymes were greater than anything, ever. Respectfully, Jay was thirsty for Big's spot, and it showed. At the same time, Big wasn't effing around. No way was Jay going to outshine dude. This record would have been a monster single and even a greater video. "When I contacted Bad Boy for Big's clearance, Puff wouldn't, couldn't grant us the full single rights. Big had been on almost everybody's records and Arista didn't want him to be overexposed. Especially since Big was about to go in the studio to record his second album. No shots, but I remember being on the phone once again begging for Puff to let Big rock on a single and video, and Puff asking me, 'Yo, what the eff is a Jay-Z? I can't get Clive Davis to clear Big on some unknown rapper's record.' To his credit, Puff did let the Roc keep the song on the album. Years later, 'Brooklyn's Finest' has become, and remains, one of my favorite songs of all time. Years later, I still feel some kind of way about Jay and Big not shooting a video for that. Can you even imagine how ill that would have been?"